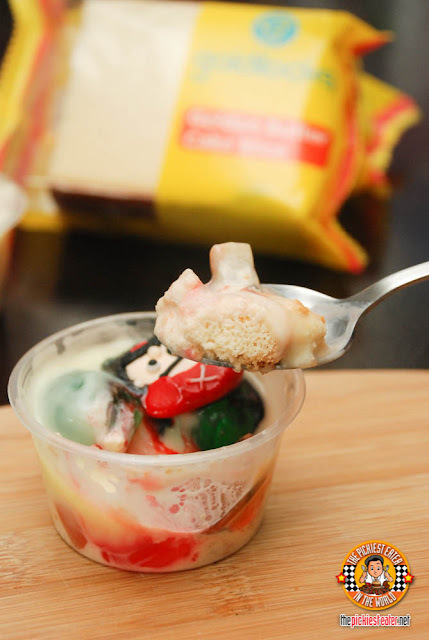 THE PICKIEST EATER IN THE WORLD: AN EASY GOLDILOCKS CAKE SLICE KIDDIE TRIFLE DESSERT! Goldilocks’ Cake Slices are affordable super moist cake slices that’s an excellent go-to for merienda or to pack for a trip, or as pambaon for work or school. The size is huge and it is delicious! And at an affordable price of only 22 Php per slice, you can never go wrong! 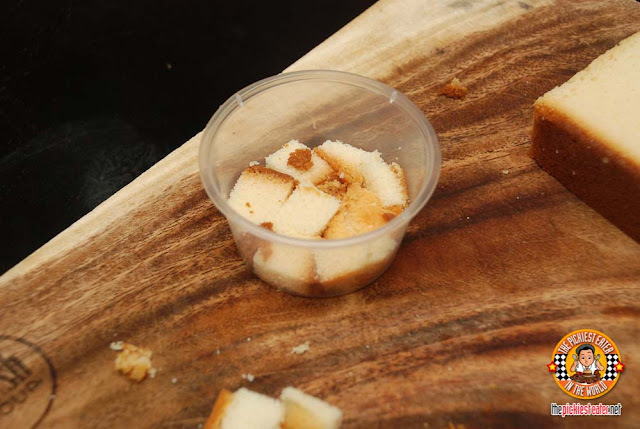 You can eat the cake slices as it is, anytime, anywhere. 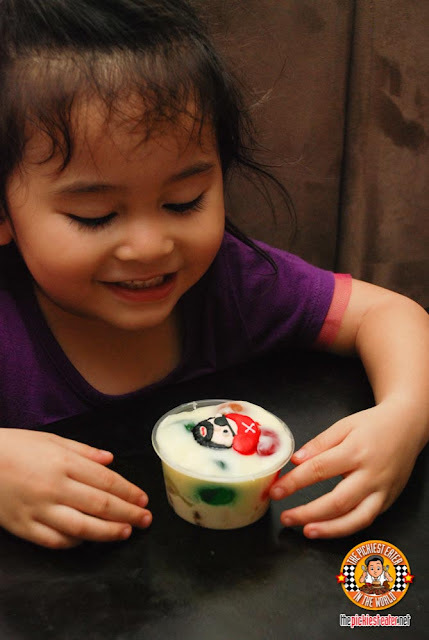 But if you want to kick it up a notch, here’s a simple recipe that Rina and I tried at home. 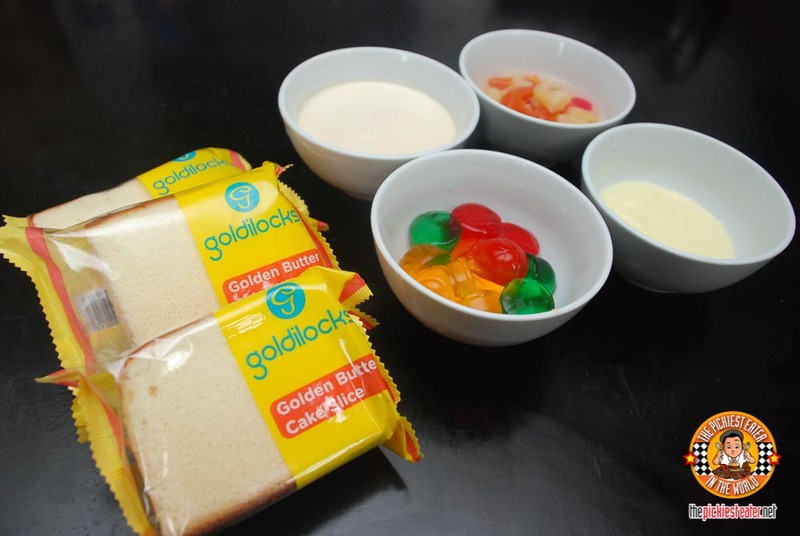 Let me call it the Goldilocks Kids Trifle Cake! No baking or cooking required! Ready-made Custard Cream. Or if you can’t find any (like my situation), I used Elle & Vire Creme Dessert Vanilla flavor. As I’ve said earlier, this is very simple. 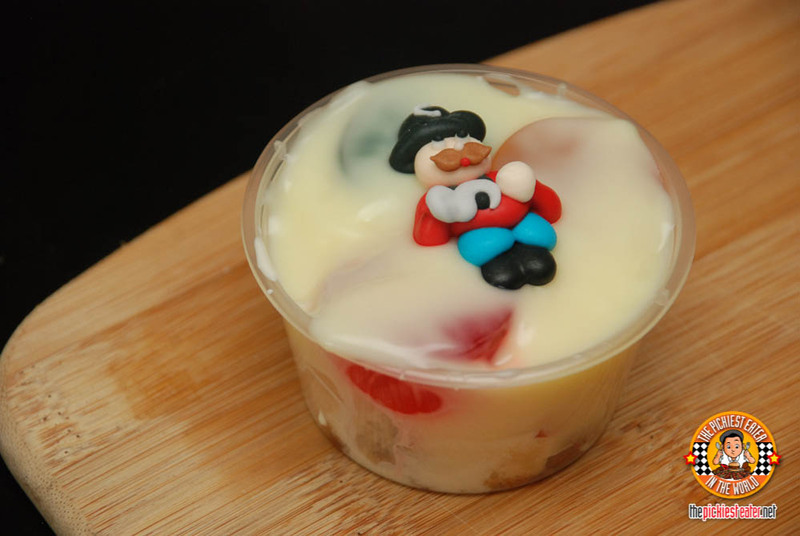 Trifle cake is a traditional English dessert made with thick custard, and has all these beautiful layers of different ingredients such as fruits, sponge cake, what have yous, and usually topped with whipped cream. 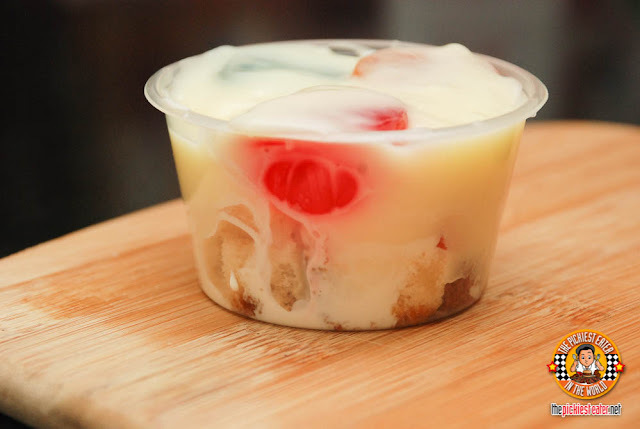 Of course since this is just a quick kiddie trifle recipe, the ingredients are simpler. And since my containers are small, it’s hard to see the layers haha! But it’s delicious as well! 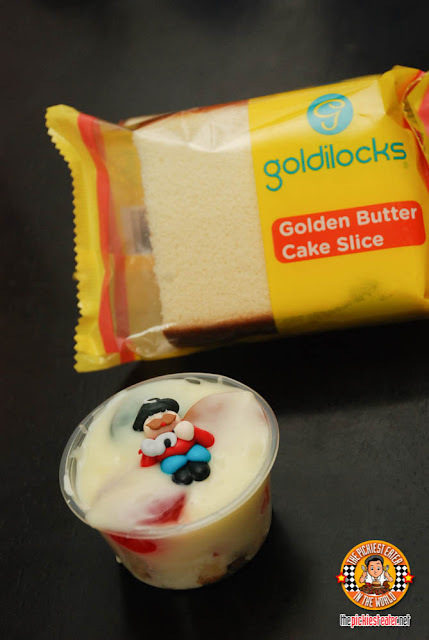 So since the Goldilocks Butter Cake Slice is really huge and my kiddie cups are small, I sliced the cake into small dices and made sure to fill as much as I can of the container’s bottom. This will be the dessert’s base. Then basically you just add a layer of fruit cocktail (with the juice), and then a layer of jello, and then ideally a layer of custard first, before topping it with whipped cream. ARRRRR! 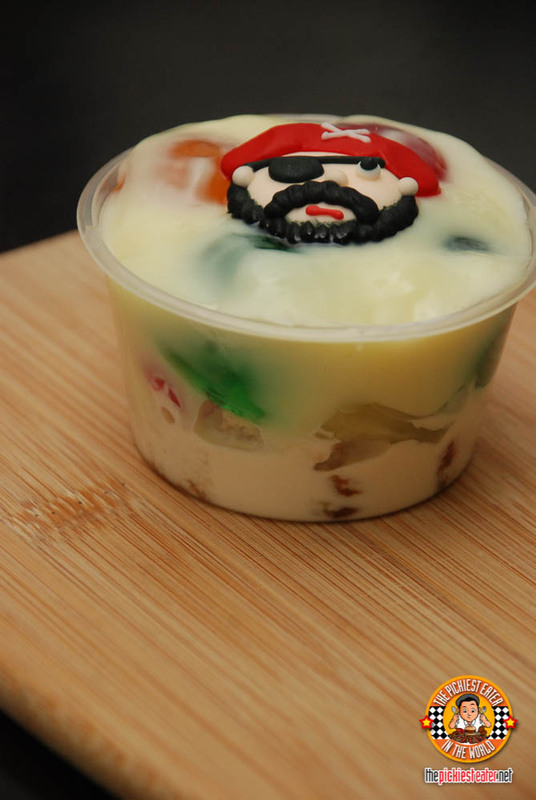 I saw these cool Pirate sugar decorettes from Goldilocks! Because a few days ago Rain was in her Pirate zone saying “I’m a pirate!! !” That’s pretty much it! Chill it for a bit then serve. I’m happy that she liked it! 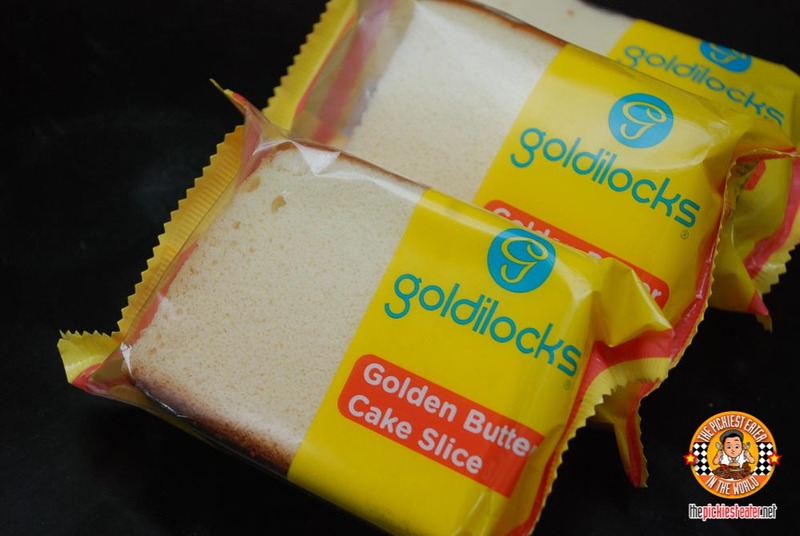 I’m sure there’s a lot more that can be done with these delicious Goldilocks Cake Slices! If you have a recipe, do share! 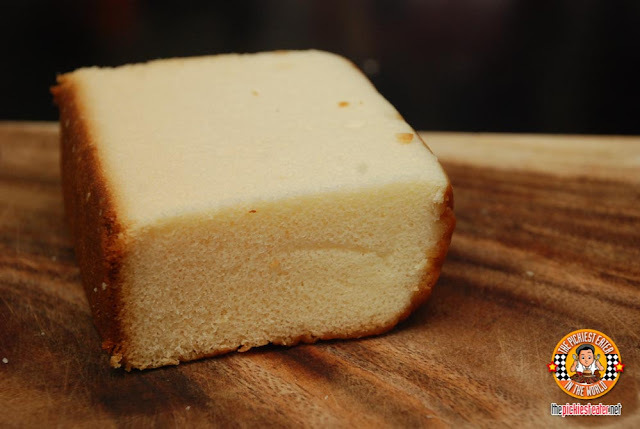 And use the hash tag #GoldiCakeSlice ! I think this is a fantastic idea especially for people like me who don't really bake!